Campus structures: Gotta LOVE them! Something about seeing this campus structure makes me happy. What structures on campus are your favorites? Click here to read about it on the message board! Since his movie Behind The Mask: The Rise of Leslie Vernon, Scott Glosserman (C'99) is now about to direct another thriller called Playing House. Per Variety, "the plot follows a young couple that gets more than they bargained for at an abandoned island mansion. They soon find themselves being followed, and must escape their evil pursuers." Production is set to start before the end of the year. Click to check out my other posts about Scott. I don't know how actual Dr. Roy Vongtama (C'96) does it. Doctor by day. Actor by day ..and now night! 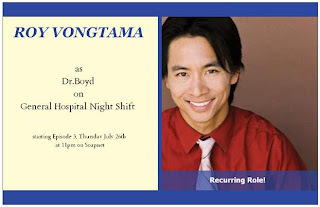 This Thursday night, July 26, 11 pm, Roy appears on Episode 3 of General Hospital Night Shift (Soapnet) as the recurring character, Dr. Boyd! From Roy, "for all you Star Wars fans, I met Billy Dee Williams at the table read. If you don't know, he played Lando Calrissian. ( Famous for lines such as "We won't get another chance at this, Admiral." or maybe you remember: "That blast came from the Death Star! That thing's operational!")" Click here to read my past posts about Roy! It's no surprise that Penn alumni have taken over Hollywood and today it was announced that another Hollywood established alum, Mike Karz (C'89, W'89) continues this trend with the news that he just stuck a 2 year, first-look deal with Warner Brothers. Per Variety, "Karz already has several projects in the works at the studio [Warner Brothers] and has just sold his first pitch under the pact. The project, called "Blended," is a comedy about families coping with remarriages. ...Under the pact, Karz Entertainment will be based on the lot in Burbank and produce features and direct-to-DVD projects for the studio." Good Luck Chuck - (per Variety) In the film, "Dane Cook plays a serial dater who gets a reputation that any woman dating him will rebound into meeting her soulmate. When the man meets his true love, he must find a way to end the streak and keep her." Click here to view the trailer! Honeymoon with Harry - (per IMDB) "A man's fiancé dies 2 days before their wedding leaving the lover devastated. Oddly, he then goes on the honeymoon with his fiancé's father who despises him to scatter the ashes." 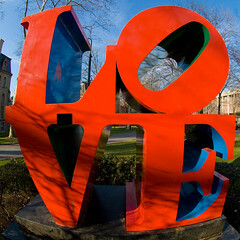 WXPN's eclectic music hits TV! I think most alumni know WXPN and their great eclectic music programming. Kiera Reilly in alumni relations emailed me that the Penn-owned radio station recently announced that it is taking its show to TV! 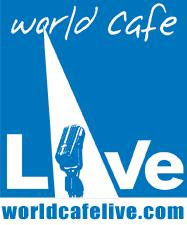 PBS began broadcasting a new show in May of 2007, “On Stage At World Cafe Live” featuring live performances recorded at University City ’s World Cafe Live concert venue. To my knowledge one Penn artist whose music has been played on WXPN and World Cafe is one of my favorites: Gabriel Mann (C'95). Click here to check out all the posts I've written on Gabe.